The exercise programs examined in this study led to symptom improvements, researchers found. There is no escaping that exercise is good for us. But just how good it is depends on who we are, what state of health we are in, and what exercise we are doing. The good news is that even taking the dog for a walk will prove beneficial for cancer survivors, according to Rita Musanti, PhD, APN-BC, and her group at Rutgers Biomedical Health Sciences School of Nursing, The State University of New Jersey, New Brunswick. 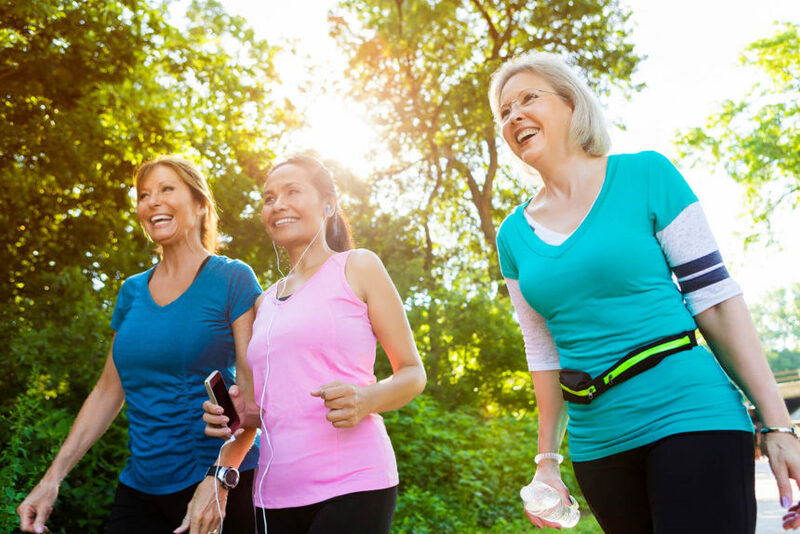 In a recent report, the researchers note that guidelines regarding physical activity for cancer survivors have been issued by the National Cancer Institute (NCI), the American Society of Clinical Oncology (ASCO), the Oncology Nursing Society (ONS), the American College of Sports Medicine (ACSM), and the American Cancer Society (ACS).1 The Centers for Disease Control and Prevention (CDC) recommends 150 minutes of moderate aerobic exercise per week, or 75 minutes of vigorous exercise, or a combination of the two plus resistance exercise of the major muscle groups at least 2 times per week.2 Of course, the CDC recognizes that achieving these goals can be difficult for patients with cancer. The Rutgers group sought to determine the impact of exercise on cancer survivorship. They chose to use the Livestrong at the YMCA program, an exercise program designed specifically for cancer survivors launched jointly in 2007 by YMCA and Livestrong. The program is a 12-week course held at YMCA facilities throughout the United States.3 Participants work with certified fitness instructors trained in supportive cancer care, postrehabilitation exercise, and cancer survivorship. The staff are trained to coach people who might never have exercised and whose cancer treatment may interfere with their ability to exercise consistently, and provide each patient with an individualized regimen. A bonus is that cancer survivors attend at low or no cost, and the YMCA usually gives their families memberships for the duration of the program. Patients who participated in the program report to their oncology care clinicians that they liked it, Dr Musanti explained to Oncology Nurse Advisor. Although Livestrong collects some data, the Rutgers researchers wanted to see past the anecdotal evidence. Did this program actually made a difference in patients’ lives?­ They undertook a retrospective analysis of existing physical fitness and quality of life data for cancer survivors from 3 areas in New York and Pennsylvania. The data were collected from participants of several Livestrong at the YMCA programs. The researchers collected data from 88 participants (15 male, 73 female patients; mean age, 57) of several Livestrong at the YMCA programs. Sixty-two percent of participants had completed their treatment within the prior 2 years, and 18% had completed treatment more than 5 years ago. Ten percent of survivors were currently in treatment, and another 10% had completed their treatment 2 to 5 years prior. Most of the participants were women (89%), and the most frequent diagnosis was breast cancer. Other participants had hematologic malignancies, including lymphomas; colorectal, gynecologic, lung, or prostate cancers. Approximately 70% of the patients had comorbidities such as cardiometabolic disorders, pulmonary problems, and arthritis. Fifty-nine survivors had peripheral neuropathy, 48 of whom were breast cancer survivors who had received chemotherapy. Chemotherapy-induced peripheral neuropathy (CIPN) can be dangerous; in addition to pain it can lead to altered proprioception. This is concerning because it affects balance and limits physical activity, impacting safe mobility and leading to an increased risk of falls. The investigators call for more research in this area, particularly for fall-prone older survivors treated with neurotoxic chemotherapy. The exercise programs led to symptom improvements. Although the researchers could find no outcome measures in their analysis to support similar benefits in the participants’ comorbid conditions, evidence shows that the exercises for cardiopulmonary function, strength, flexibility, and balance did actually improve physical fitness outcomes. These were measured with the 6-minute walk, leg and chest presses, sit-and-reach test, and single leg stand, respectively. Dr Musanti noted that those improvements translated to corresponding improvements in the survivors’ perceptions of physical function, less fatigue, and decreased pain. Both men and women also perceived significant improvement in terms of anxiety, depression, fatigue, and social role satisfaction.